Some time ago Laura needed some work done on her chassis. I can weld, and change a rusty wheel arch, but outriggers and chassis legs are something I let professionals do. Nyboe’s Auto is the local official Mercedes-Benz and Opel workshop, and I thought that if Mercedes Benz would let Nyboes Auto in Rønne represent them, they must be good enough to handle the job. Nyboes mechanic removed the bodywork and steering relay, so that he could repair the rust in the front chassis leg, and put it all together when he was done. I picked Laura up, from Nyboes Autos garage, and drove her home. The morning after we drove back to Rønne, and while driving round the roundabout at the edge of the town, there was a “Klonk” and I lost control over the stearing. Lauras stearing immediately straightened itself, the front right tyre hit the curb, and she jumped up onto the bicycle lane, where I stopped her halfway onto the sidewalk. My wife and I sat with our hearts thumping, and I could turn the steering wheel freely as much as I wanted, without moving the front wheels. Luckily nobody was passing by on foot, bicycle or with a pram, when it happened. When we got out of the car, it was rather obvious. 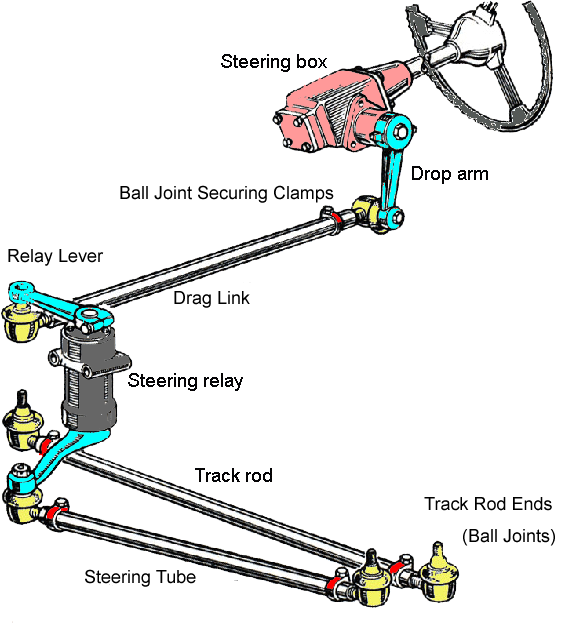 The steering relays lower arm, was no longer connected to the steering relay, and was just dangling below it, on the end of the steering tube. 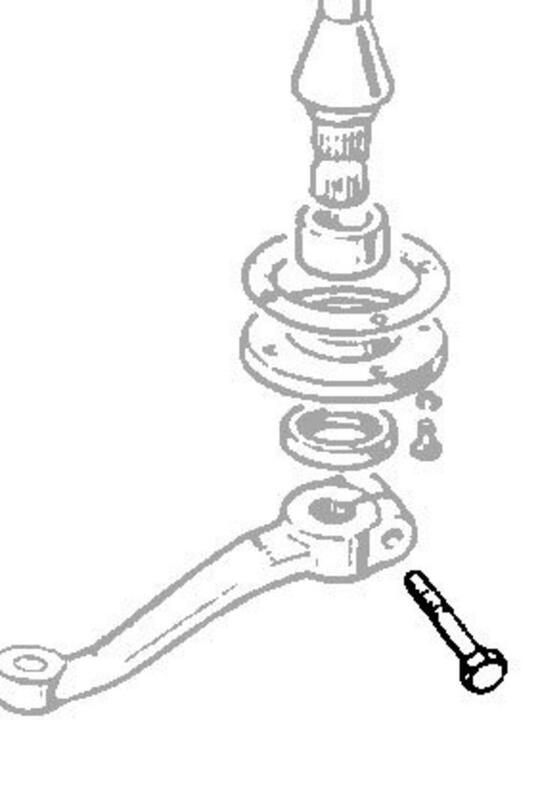 When the mechanic at Nyboes Auto’s garage had put Laura back together again, he must have forgotten to tighten the steering relay arm bolt, and obviously he hadn’t taken time to do a final check that everything had been fastened before delivering the vehicle to it’s owner. We were very lucky that nothing more serious had happened. The steering relay arm fell of, the day after picking it up from Nyboe’s, and after driving less than 30 km. It happened at low speed in a roundabout, and nobody was on the sidewalk or bicycle path at the time of the incident. Most of the trip beforehand had happened at 80 km/h on a main road with deep ditches on both sides. 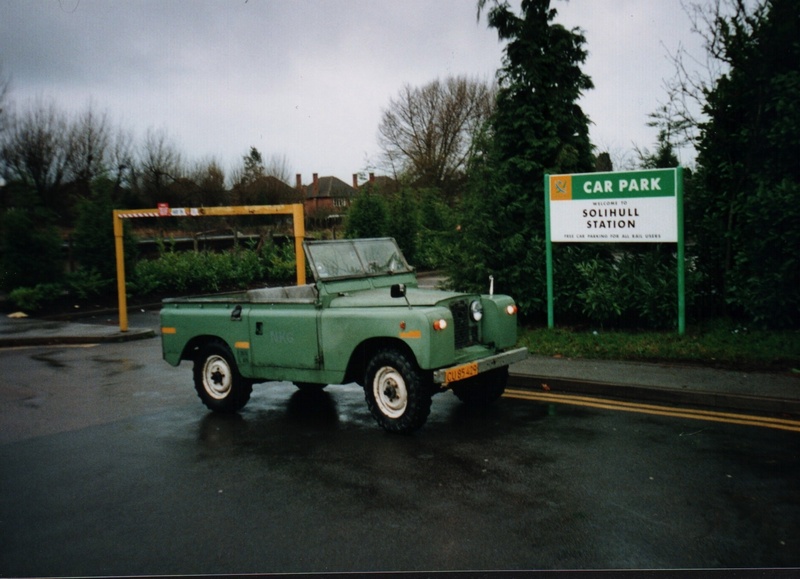 Ending in one of these with an open Land Rover could have ended with both of us dead or in a wheelchair. Nyboes Auto picked her up and put her together again, but did not want to comment on the incident. We drove home wondering what else could be lose.